OpenCart is a popular open source e-Commerce solution that attracts a huge number of retailers by its extensive customization possibilities and ease-of-use. Since the platform is open source its internal code and file framework are available to a wide public. While it's a good thing for developers, it also means that hackers are well familiar with OpenCart structure and can occasionally detect and exploit its security vulnerabilities. Attackers seek to compromise a website and add pages with the spam information or inject malicious content into the already existing pages on a site. They are mainly aimed at accessing email accounts and stealing sensitive information to misuse it against customers as well as store owners. Eventually, it will lead to bad brand reputation and ruined customer trust that usually takes tremendously a lot of time and efforts to be restored. Subsequent huge financial losses will also have a detrimental effect on online retail business. 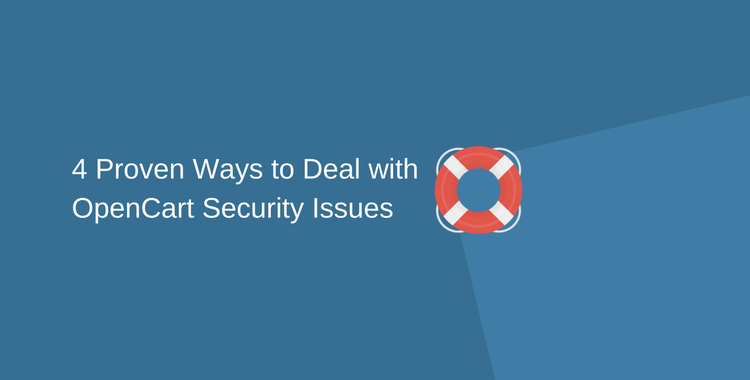 Nevertheless, website breaches and its negative consequences can be easily avoided by implementing basic secure practices for an OpenCart store. Install folder or directory has to be deleted immediately after installation. The point is that someone can potentially access the installation folder and launch the installer again to overwrite a website. To wipe out the directory open FTP client then go to ‘Shop’ and choose the 'Install’ folder to delete it. 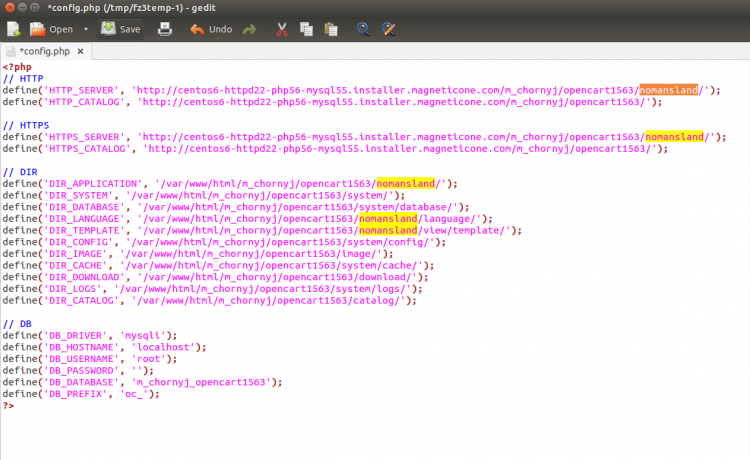 Note that OpenCart always warns their users in the administration in case an install folder is not deleted after setup. First of all, rename the admin folder with some uncommon name like ‘nomansland’ in order to conceal it from scripts and hackers targeted specifically at the 'admin' folder of OpenCart. 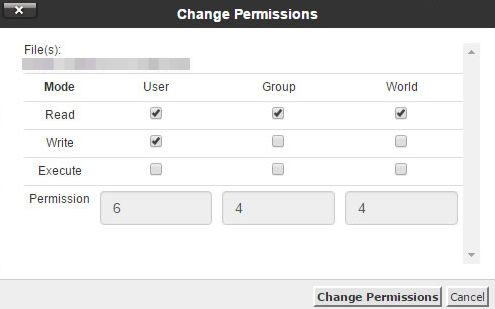 After the folder's name is modified, it’s necessary to use the new path to access your admin dashboard. It can be done by updating the admin/config.php file and replacing instances of ‘admin’ with the new name, like, ‘nomansland’. There should be 5 instances changed. Finally, the admin login URL will be changed from default ‘www.opencartstore.com/admin’ to ‘www.opencartstore.com/nomansland’. Allow from "admin ip address"
Note, that it will be applied to all subfolders in admin directory. Also, there is an option to password protect an admin directory with .htpasswd file. It will create an additional step of authorization and demand extra password for the approved administrator to access this directory. It’s preferably to do that via cPanel, where you can choose a directory you want to secure with a password and create a user to access it. Take into account that access will be blocked to specific file types: template, php, and txt files. There are two types of files need to be protected: logs/error.txt and start_up.php. The logs/error.txt provides valuable information about how the server functions and hackers can use it to create a successful breach. It is recommended to assign 444 or 644 permission types in order to eliminate chances of file overwriting or malware injection. The first variant (444) allows only reading while the second one (644) provides with reading and writing options. E-Commerce retailers often install various plugins and modules to expand the functionality of their stores. Third party add-ons are able to provoke Opencart security issues since they can potentially contain some random or deliberate vulnerabilities. It happens that hackers create new or make changes to already existing open source plugins in order to compromise websites that install them. Thus, users have to be especially cautious with 3rd party extensions and avoid utilizing software of dubious origin. Hackers prefer a plain sailing and target poorly protected and vulnerable websites. Implementing basic but at the same time, efficient measures will help to hack-proof a store and avoid possible negative outcomes of security breaches. If you are willing to use OpenCart platform for developing a highly lucrative online business, Cart2Cart offers an automated service for seamless migration to OpenCart. It allows you to transfer numerous entities like products, categories, customers, images, manufacturers, etc in an accurate and secure way. Try out an absolutely Free Demo Migration to evaluate the advantages of an automated data import and test the look and functionality of a new OpenCart store.